Our Pumpkins aren’t just for carving! How about creamy Pumpkin Pasta or why not try our Munchkin Pumpkins. They are great for stuffing and serving as a portion. 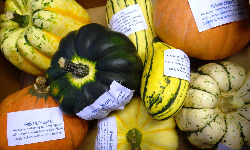 We have a great range of Autumn Squashes in stock, this includes; Kabacha squash also known as Japanese Pumpkins. Crown Prince a great all-rounder. Spaghetti Squash is best roasted whole to lock in all the flavours. Acorn Squash has a buttery taste. Red Onion Squash is one of the most popular with its thick red skin. If you fancy trying a range of our Squashes then why not try our Mixed Squash boxes, we have two alternatives – 5kg boxes or 13.6kg boxes which often have larger Squashes. 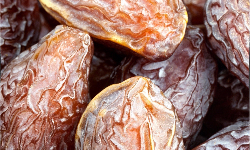 We have a fantastic range of Dates in stock including; Fresh Eat Me Dates premium (code: 39185) and Fresh Medjool Dates (code: 886). These are in stock and available for next day delivery when ordered before 11pm at night. 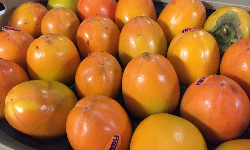 Sharon Fruit are great for both sweet and savoury dishes, the soft oval shaped fruit is great to try in a salsa. Dutch new season Rhubarb is available by the kg or the 6kg box. We do love our Qunice, Great for poaching in a spiced wine! As the countdown start to begin we have some outstanding Fresh Chestnuts. First of the Helda Beans are here from Spain, they are very similar to Runner Beans. Cipollini Onions are in stock and available in 300g packets, they are a flat onion that has a sweet mild taste. Borlotti Beans also known as Cranberry Beans are a variety of Kidney Bean. They are a pinkish- white bean that is packed full of flavour. Crosnes are great talking point this week, they are a Japanese Artichoke that have a lovely light peppery flavour. Our tops picks the week have to be Savoy Cabbage, Kale and Sprouts they are all great staple British seasonal Vegetables. We are starting to see the first of the seasons Wet Walnuts, will they be on your menu?! Baby Bunched Beets are unfortunately coming to an end. Alternatively, we have 200g punnets so please order these as an alternative. 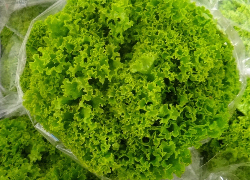 Over the next few weeks as the English season draws to a close, we will move onto French Lollo Rosso, Lollo Biondi and Oakleaf. Our Dutch Peppers and Tomatoes will also be on the move and we shall be sourcing from Spain. Grapes will move onto South African airfreight which will result in a slight price increase. Our Galia and Cantaloupe Melons will move to Brazilian airfreight which will also result in a slight price increase. 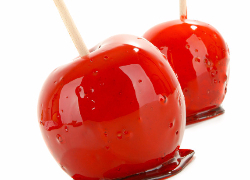 We have both Toffee and Chocolate Apples available to order (48 hours notice) and they are a real treat. This will continue until approx. 5th November – Bonfire Night! 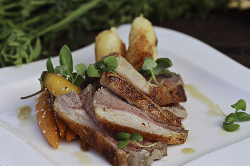 Roasted Rump of Lamb with Chevril Root and Sesame Glazed Heritage Carrots!